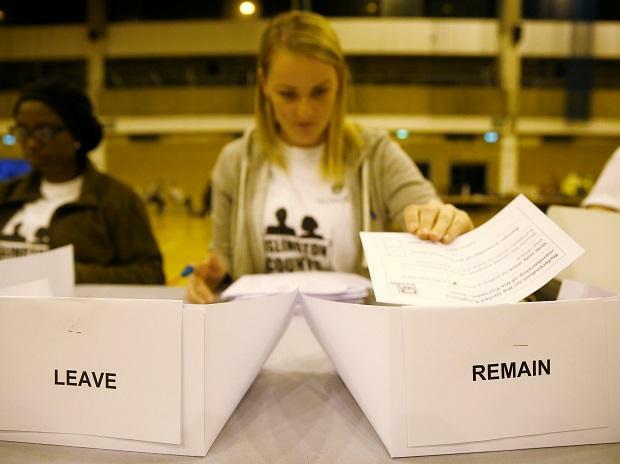 The hidden flaws in Britain's political system have been laid bare and televised worldwide since voters chose, almost three years ago, to leave the European Union. It's a political soap opera that has sent the viewership of Parliament's live-streaming website soaring and made an international celebrity of House of Commons Speaker John Bercow, with his bellowing cries of "Orderrrrr" and "The ayes have it!" But all the sound and fury signifies not much. Britain is no further out the EU door or clearer about its post-Brexit direction than it was at the start of the year. Pro-EU politicians reject it because they think it's a poor substitute for EU membership. To avoid a chaotic no-deal departure that could devastate an economy already weighed down by Brexit uncertainty, May has twice gone to the EU asking for more time. Despite the bloc's increasing exasperation at Britain, it has twice agreed, delaying Brexit Day first from March 29 to April 12 and then again until October 31. May's Conservative minority government does not have a majority of seats in Parliament a rare occurrence in Britain and struggles to deliver its policies. Pro-EU backbench lawmakers have gone to war with the government, seizing control of the parliamentary timetable to hold debates and votes on Brexit. Pro-Brexit Conservatives have demanded that May resigns for failing to take Britain out of the EU. There is no end in sight to the Brexit drama, which has left observers around the world scratching their heads and sometimes chuckling at Britain's plight. Richard Ashworth, a British member of the European parliament, told EU colleagues that Brexit had produced "a sad nation, divided like never before, and a House of Commons in crisis." "Let Brexit stand as a cautionary tale to the people of Europe," he warned. But some observers feel sympathy as Britain so publicly struggles with deep, divisive questions about its values and place in the world questions that are not confined to the UK. "Among international observers I speak to, there is a sense of, 'There but for the grace of God go I.